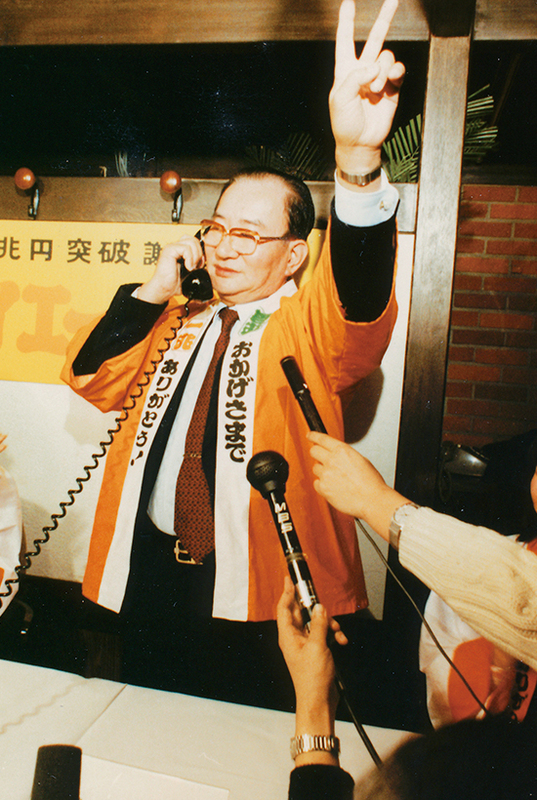 Isao Nakauchi established "Daiei, the store for housewives" championing "smashing prices" in post-war Japan, constructing a consumer-centered distribution system and contributing greatly to the restructuring of distribution in Japan as a standard-bearer for the distribution revolution. He is also the first person who introduced himself as CEO (chief executive officer) in Japan. Retail sales of products, etc. Nakauchi was born in 1922 to a small drugstore family in Osaka. After graduating Kobe Commercial High School (currently Hyogo Prefectural University) and in the midst of the Pacific War in 1942 he found work in Nihonmenka Corporation, but in the next year he was drafted and sent to fight in the war. In the Bay of Lingayen in the Philippines he was attacked by the enemy and expected to die, and the thought that crossed his mind was "I want to eat sukiyaki to the full one more time", which is said to have later led to the idea for the slogan of Daiei, "make good products cheaper and cheaper, for a more abundant society". After returning home, Nakauchi found the streets of Kobe had been hit by a US air raid and were reduced to a large smoldering field. Nakauchi witnessed a shocking scene as he viewed the scorched streets of Kobe. It was an enthusiastic and tumultuous black market that was opened under the Sannomiya Guard. Just where did these products come from? Nakauchi was fascinated by the distribution mechanism, and while helping with his father's "Sakae Drugstore", he began to work as a broker in the Sannomiya black market. He created "Friendship Drugstore" with his friend and turned to a black marketeer with merchant partners. Subsequently what should be called the prototype of today's Daiei, "Daiei, the store for housewives", was born in front of Senbayashi Station in Osaka in September of 1957. At first the product selection focuses on pharmaceuticals with cosmetics and sundries much like todays drug stores. 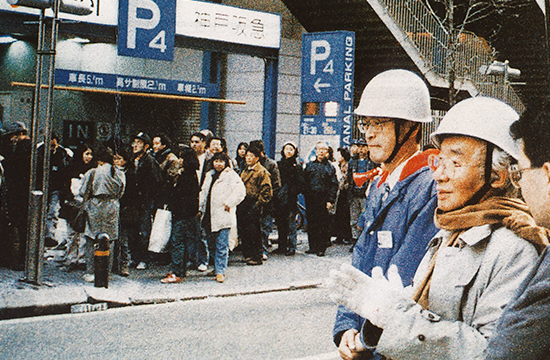 The self-service, discount, and register system of this Senbayashi branch would go on to become the driving force behind developments in Japan's supermarkets. In 1964, when the Olympics were held in Tokyo, he expanded into Tokyo, and in 1967 he established the Japan Chain Store Association and assumed a position of the first chairman. One of the major factors that caused consumers to support this expansion policy was surely the idea of "smashing prices" championed by Nakauchi Daiei. Considering it his mission to destroy existing prices and provide products to consumers cheaper and based on the idea of "taking the right to decide prices away from the manufacturers and returning it to the consumers", Nakauchi has maintained his belief refusing to yield to the repeated pressure from manufacturers, and it would not be an exaggeration to say that he is the man who caused a revolution in the distribution industry.